Embrapa Agroenergy – The rich Brazilian biodiversity, the expansion of markets, population growth, globalization and the prediction of the scarcity of natural resources are incentives for business development in the field of biological sciences – Biobusiness. To realize them are being created new companies to participate in a growing market and that, besides the specific demands for new products and services, has to attend a social and economic demands, and concerns in parallel with the environment and rational use of natural resources. Biomass & Bioenergy – The 8th annual report of the Corporate Knights released in January, on the World Economic Forum in Davos, Switzerland, said that Natura, a Brazilian cosmetics company, is the 2nd company most sustainable in the world. 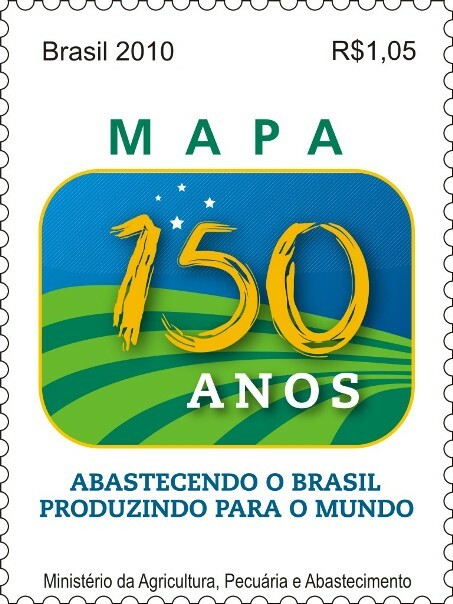 The document mentions the 100 corporations that have been outstanding with regard to sustainability, three of which are Brazilian – Natura (2nd), Bradesco (61st) and Petrobras (81st). Corporate Knights is a Canadian firm for media and finance, dedicated to promoting responsible business practices. To create the ranking, the company’s research group worked with about 400 candidates and selected the 100 most sustainable been of 11 environmental, social and governance issues. The first place went to Novo Nordisk, the Danish drug company. The recipe for success: a neat philosophy in business, a significant reduction in carbon footprint and selling discount medicines to developing countries. Natura stood out on the following criteria: energy productivity, measured as output per gigajoule of energy consumed, waste productivity, measured per ton of waste. According to Alessandro Carlucci, CEO of the company, “Our responsibility increases the size of our pride with such recognition.” That is, a continuous improvement. In the race to include sustainability in the corporate world, Brazil is gradually reaching a good position among the industrialized nations. It is important that other Brazilian companies follow the good example and put the head in eco-efficient practices. Biomass & Bioenergy– After 10 years of activities, the project “Runners of the Atlantic Forest” celebrating the formation of a large with 700 hectares forest corridor linking the two principal of Conservation’s Units biome in Pontal do Paranapanema (extreme west of Sâo Paulo), the Ecological Station “Mico Leâo Dourado” Black (ESEC-MLP) and the State Park “Morro do Diabo” (PEMD). This is the first phase of the project started in 2002, by the IPÊ (Ecological Research Institute), with coordination of researcher Dr. Laury Cullen Jr. The objective is to conserve the biodiversity of the Atlantic Forest through the restoration in Permanent Preservation Areas (APPs) and Legal Reserve (RL) of rural properties. The project aims to reconstruct the landscape of a region well known for dispute over land ownership and the degradation for the green areas, today summarized as “patches of forest,” who harbor endangered species like the black lion tamarin, jaguar painted, the ocelot, among others. “One of the problems for the survival of these species is precisely the loss of habitat and corridor is one of the ways to meet this need to travel between protected areas, both for food and for animal breeding,” said Laury Cullen Jr. Altogether, 1.4 million of trees were planted to reconnect the southern portion of PEMD (37 thousands hectares) with one of four fragments of ESEC-MLP (7 thousand hectares). The last 93 hectares were planted in December 2011 and monitored by the IPE till establish themselves as forest. The corridor runs through the Rosanela’s farm, located between the two Conservation Units. The planted area was part of an environmental liability of the property, according to the current Brazilian’ forest code. To choose the strategic areas for planting, the IPÊ follows his “Map of Dreams,” a study conducted by its researchers to identify priority areas for forest restoration, significant for the biodiversity, therefore, need to be reconnected. The next challenge now is to make a new corridor, the northern portion of the PEMD, planting 5 thousands hectares of forest in APPs and RLs of eleven major properties. “To happen we need the support of the owners of these lands. The benefit is for all involved, as the major producers suited to your area according to the law, which brings economic advantages, especially to them; local communities gain by selling the seedlings their nurseries and forest is restored along with all the environmental services that all humans need, “added Cullen. The planting of the corridor was conducted with support of Petrobras and BNDES, as well as International and National partnerships companies such as Natura, CESP, Duke Energy over a decade of work. In the restoration, the project has a working community involvement, with training of middle and small landowners in sustainable agriculture, environmental education, and development of community nurseries, many suppliers of seedlings for planting.